Though not a truly local story, I decided to start my first post with a short introduction to one of Canada’s pride and joys. 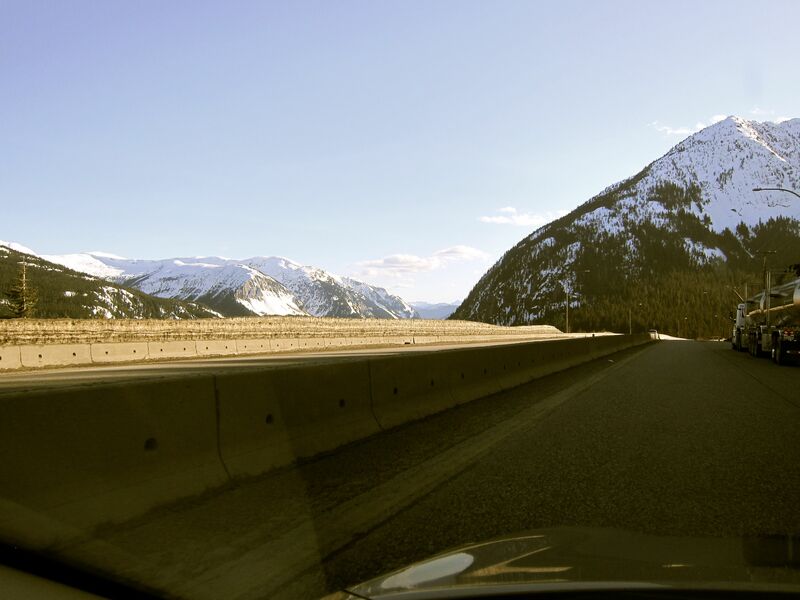 The Trans-Canada highway (Highway 1) travels through all ten provinces between its Pacific and Atlantic Ocean coasts. Along with the Trans-Siberian Highway and Australian Highway, it is one of the world’s longest national highways. The highway is on every Canadian college kids bucket list, as it is said to be THE road trip to take in Canada. Last weekend, I had to make an impromptu trip to Kamloops for work. Kamloops is about a three and a half hour drive from Vancouver on Highway 1. Though I didn’t have much time to explore Kamloops itself, I’d like to reflect back on my drive up. 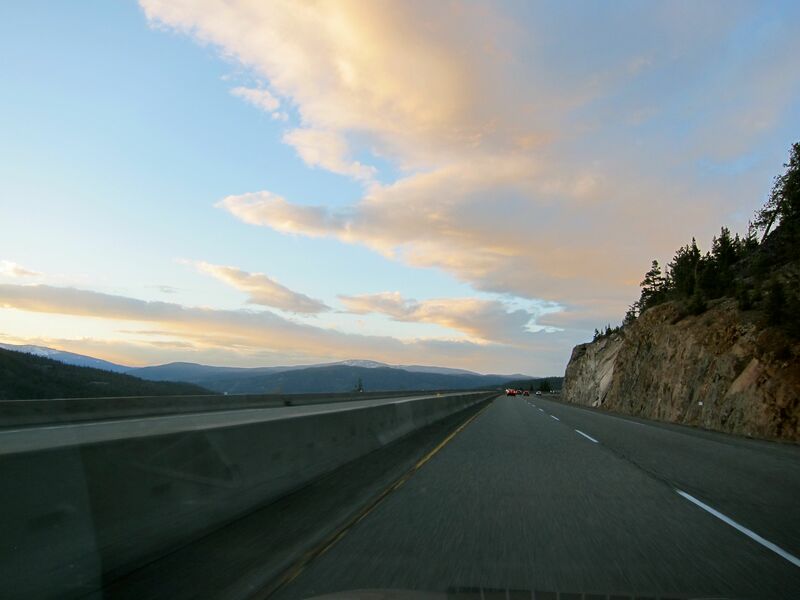 The Vancouver to Kamloops portion of Highway 1 is one of the more scenic parts of the Highway. It boasts the Fraser River and Thompson River on both sides, snow-clad mountain roads, and the desert plateau of Lytton. I have driven on this part of the highway more times than I can remember, but there was something completely different about this trip, and it only really hit me when the car radio lost reception right around Hope. I was alone on this trip, and although I’ve traveled quite a bit on my own, being on an open highway was quite a whole other level of alone. It was complete solitude. I had the ability to really think deeply and appreciate my surroundings, and what was supposed to be a long drive, ended up being not quite long enough. Before I go and bore you with my inner thoughts, let me share a few of the pictures I took (while driving). If there is anything I took away from this trip, it was that the importance of being alone should never be approached with feelings of fear. We constantly strive to be connected, make new friends, attend gatherings, that we often forget that solitude (not loneliness) can be a good thing. So the next time you get a chance to escape from the busy world, hopefully it’s in a place as beautiful as Highway 1. This entry was posted in Explore, Thrive, Vancouver and tagged Canada, driving, explore, highway, hope, kamloops, lytton, road trip, solitude, Vancouver. Yumiko (Vancouver) spends her days marketing produce (yes, that’s actually a job), and her evenings and weekends running her wedding planning company, Setting the Tone. After moving back home from some years in Japan, she has been exploring and discovering a newfound love for her hometown of Vancouver. / Say hello on Instagram: @settingthetone.